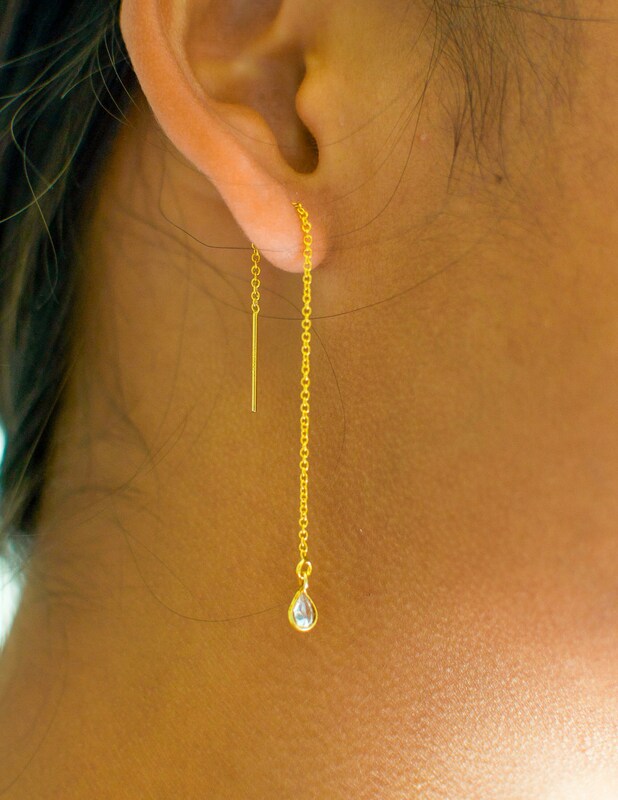 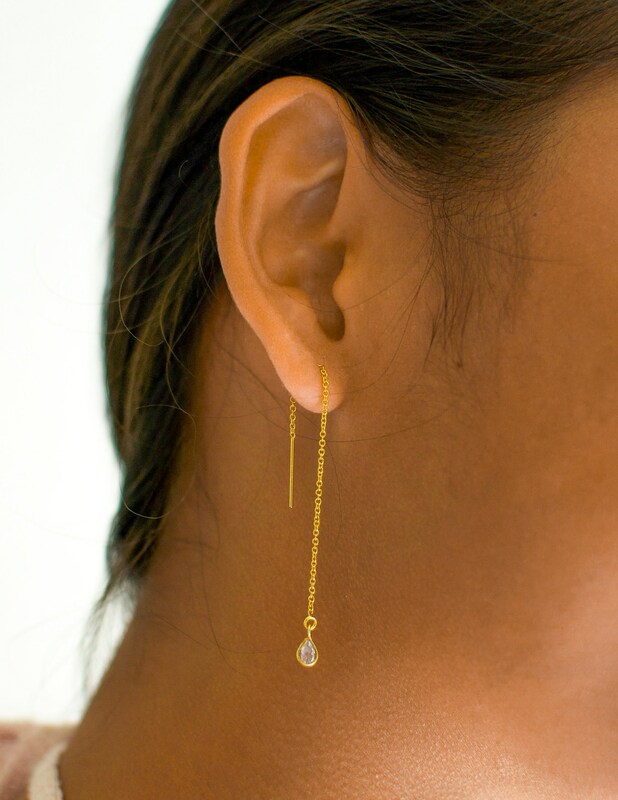 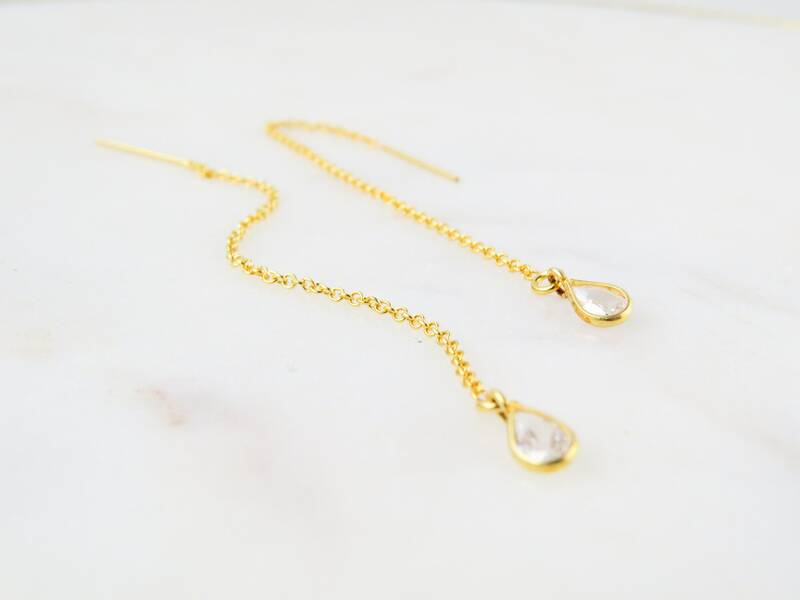 14k Gold Filled or Sterling Silver Threader with Cubic Zirconia teardrop pendant. 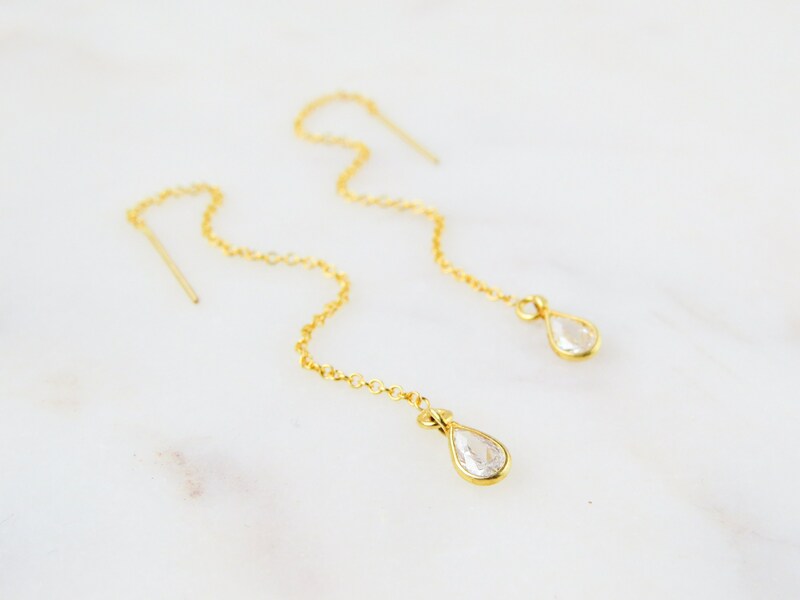 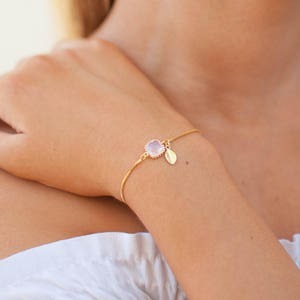 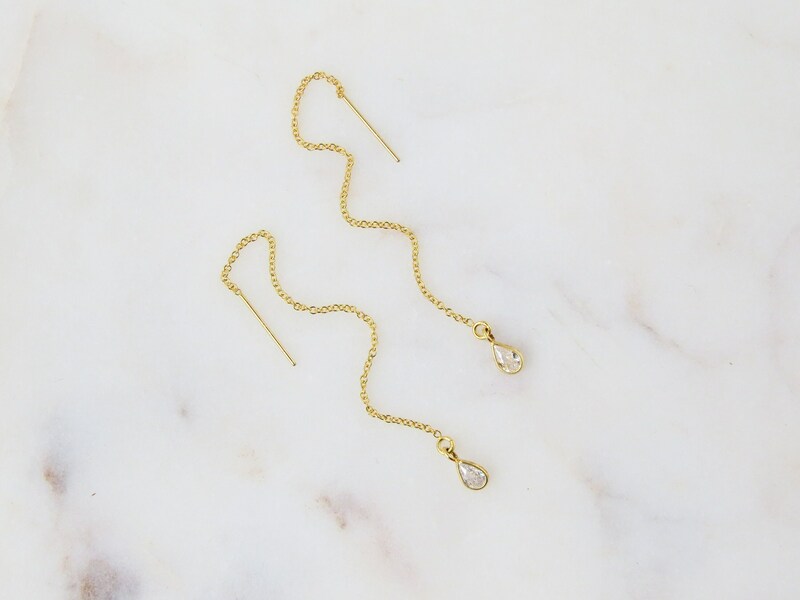 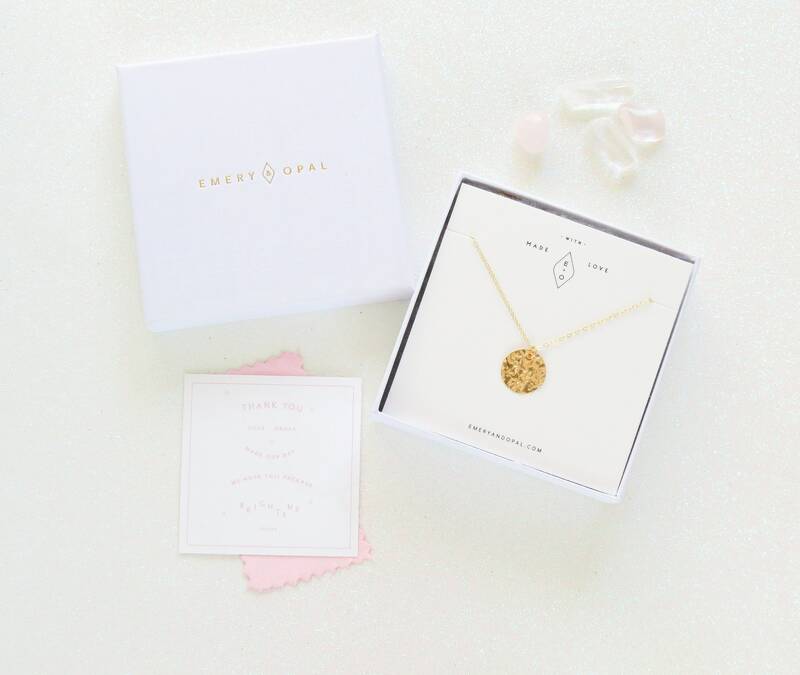 We love how simple this piece is - perfect for adding a subtle sparkle to your outfit. 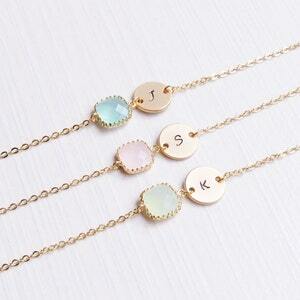 Great piece for bridal parties. 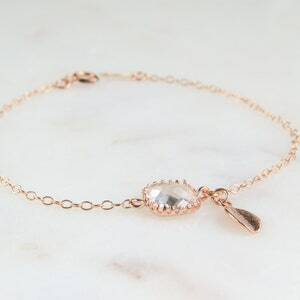 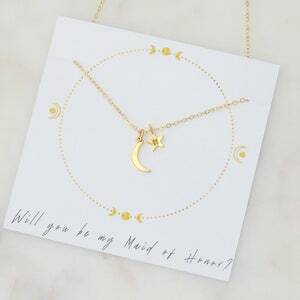 Looks stunning when worn with the matching necklace.